Until 1820 Bude hardly existed; it came into being because there was a demand for sea sand to manure the agricultural hinterland. Small quantities of sand had been taken inland for centuries, but in 1819 an Act was passed allowing construction of the Bude Canal which terminates in a sea-lock on the foreshore. The sea sand, rich in lime, went to farms in North Cornwall & West Devon, where the soil was poor. Sea-going vessels using the sea locks with a depth of 15 feet on an average spring tide brought coastal cargoes of limestone coal and general merchandise. It was unusual among canals in being built for an agricultural rather than a manufacturing purpose. The industrial buildings alongside the canal remain, but it is hard to imagine the bustle of activity which was normal there in Victorian times, as lighters were loaded with sand and schooners awaited high tide to allow them through the lock. The Bude Harbour and Canal Company was formed in 1819 and the Bude Sea Lock was recently repaired, following storm damage, in 2000. 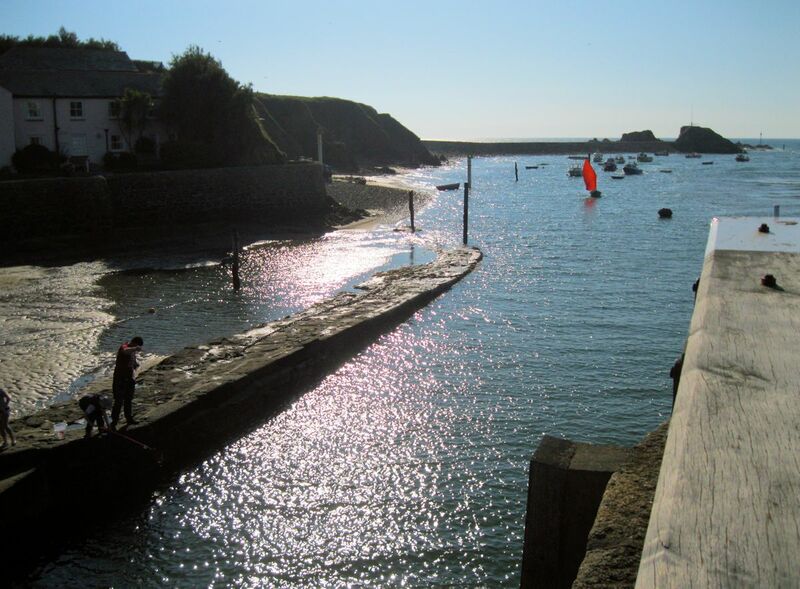 Today, Bude provides temporary moorings for visiting leisure craft. The harbour must be approached from a south westerly direction, following the line of the first pair of leading marks. Access is available two hours either side of high water. Entrance and exit during rough weather should be avoided.